Sea Salt is a pleasant family home right in-town Bar Harbor. 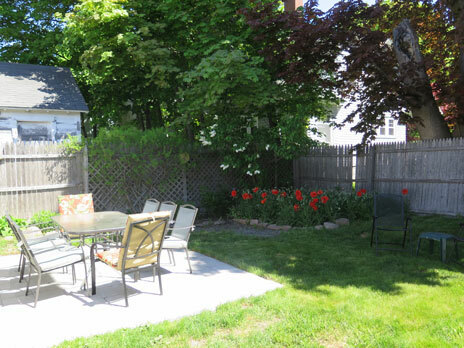 Lovingly renovated in 2016 by the owner, this classic New England cottage is just two blocks away from the Shore Path, and just 3 blocks to the Village Green in the center of town! Walk to everything in downtown Bar Harbor—the pier, restaurants, shops, and the free Island Explorer Bus stop. Sea Salt features 3 stories, a nice front yard and back yard, plenty of parking! The first floor features a screen porch area, nice for sitting with morning coffee, living room, kitchen, dining room and den/back porch (with sleeper chair). The second floor features a king bedroom, a queen bedroom and a bedroom with two twins (daybed with trundle). There are also two bathrooms on this floor: both with showers (no tubs). The third floor features a bedroom with two twin beds and a playroom, of sorts, with a daybed and trundle bed (two twins). Amenities include ROKU TV (3), DVD, WIFI, washer/dryer, dishwasher, A/C on first floor and a couple bedrooms, gas BBQ, linens, parking for 3 or more cars, microwave, coffeemaker, and outdoor dining furniture. A pack 'n play is available upon request. Click here for more complete list of household items/amenities. 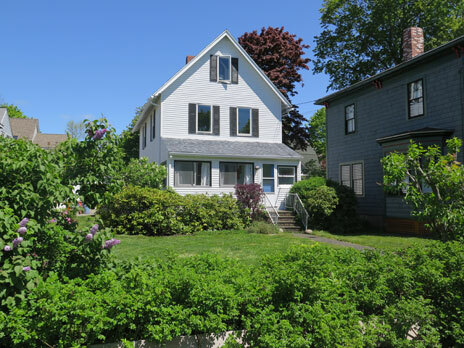 A nice property in the middle of downtown Bar Harbor, Sea Salt is a great home base for your extended family! One dog considered. Sorry, no cats. Note: for off season, only 1st and 2nd floors are available.